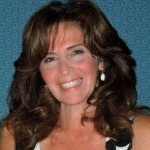 Robin Ingersoll is a Nutrition and Integrative Health Coach. She holds a BA in Education and and MS in Holistic Nutrition. Robin holds a certification as an Integrative Health Coach, which she received at Duke University in 2008. She has worked with hundreds of clients over the past 10 years in her own private practice, as well as at local health centers. She has given wellness presentations and seminars for several businesses in upstate New York, including Nestle, the Navy Reserve and many health organizations. She appeared on a local TV program in Syracuse, NY providing advice about healthy nutrition for children. to living a fulfilling, healthy life. I’m so glad to see you doing this! I look forward to reading your insights into how we can live a healthier lifestyle.